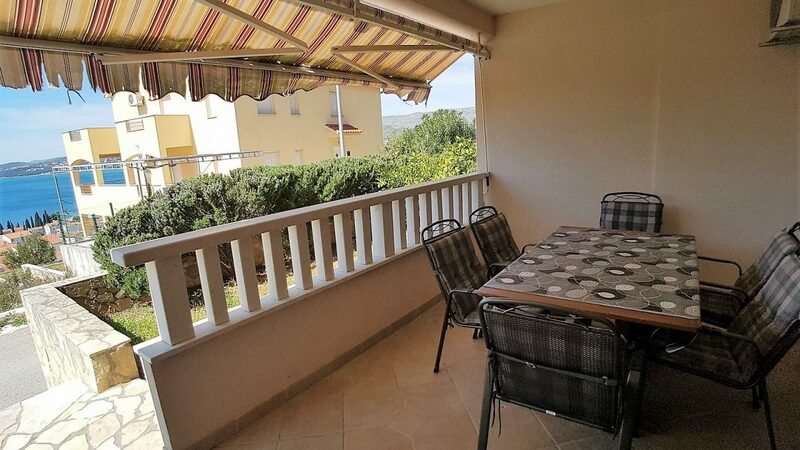 TG1402 – A ground floor apartment for sale Ciovo is a furnished property with amazing views, three bedrooms, two bathrooms, a shared pool, a garden and a separate yard with a grill space. 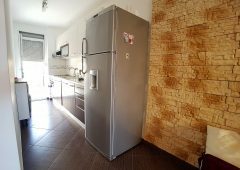 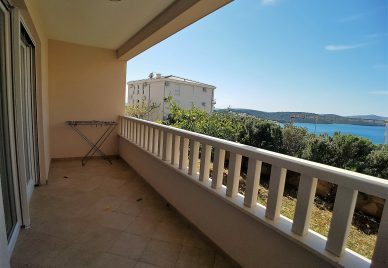 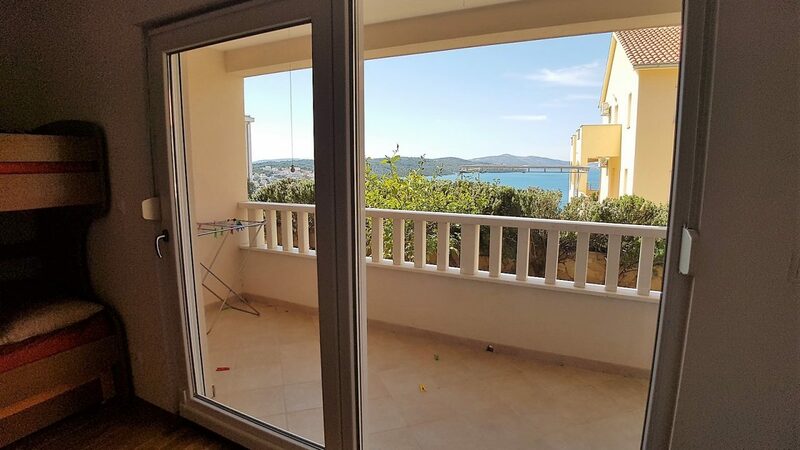 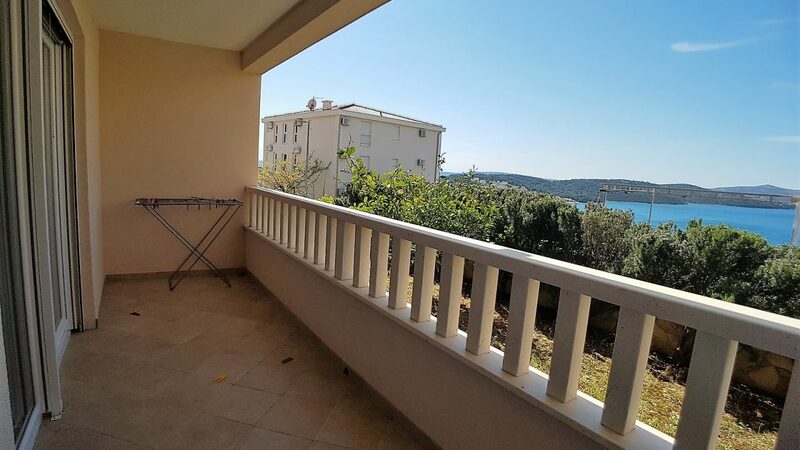 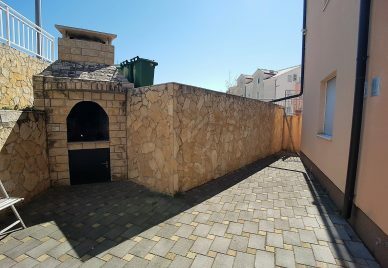 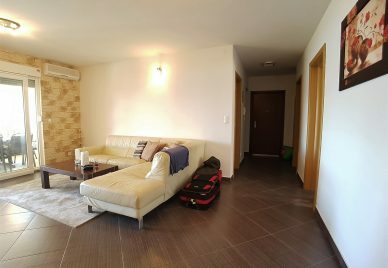 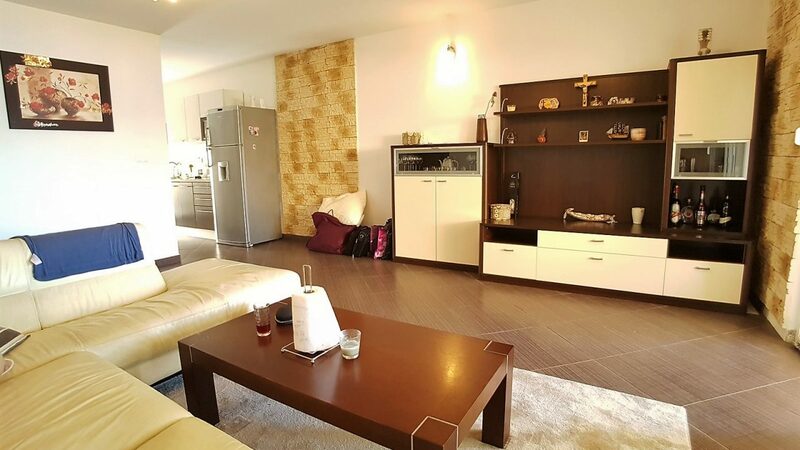 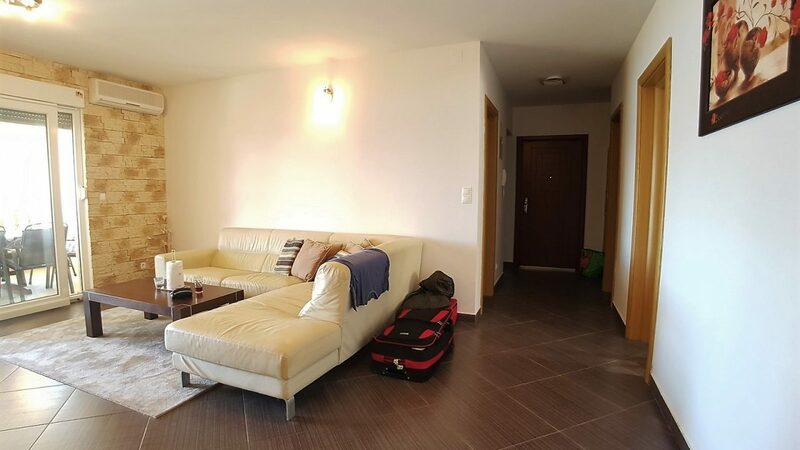 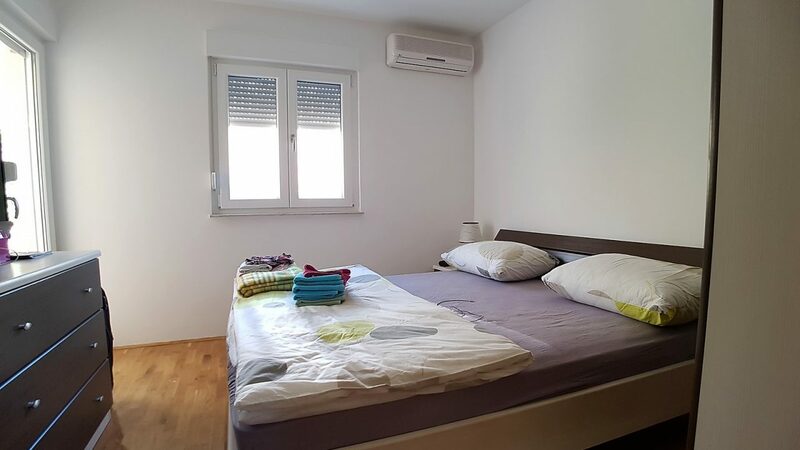 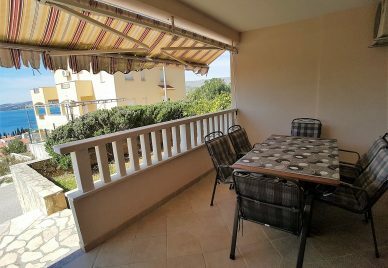 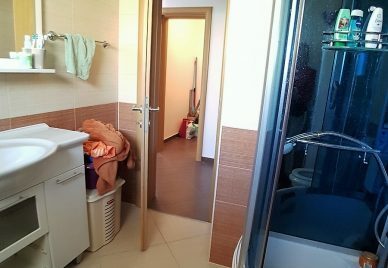 This beautiful apartment for sale Ciovo is 90m2 in interior size is set on a ground floor of an apartment building located in an elevated area in Okrug. The apartment is fully furnished and equipped. 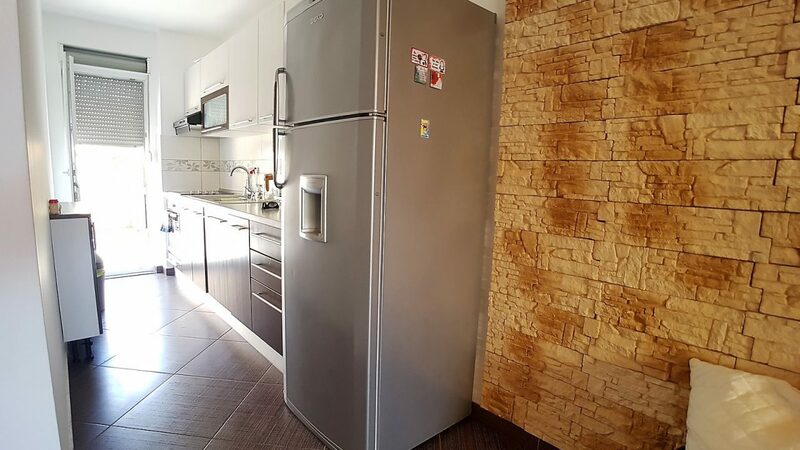 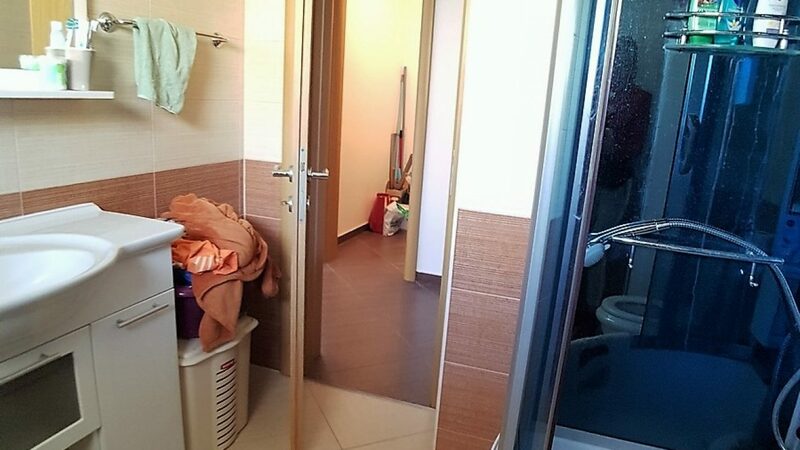 There are two bathrooms and a nice kitchen fitted with all the necessary appliances. 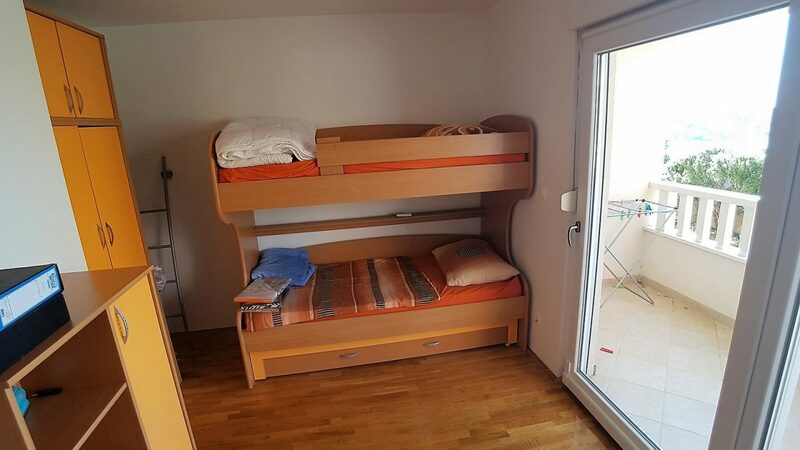 There are three bedrooms of a good size. 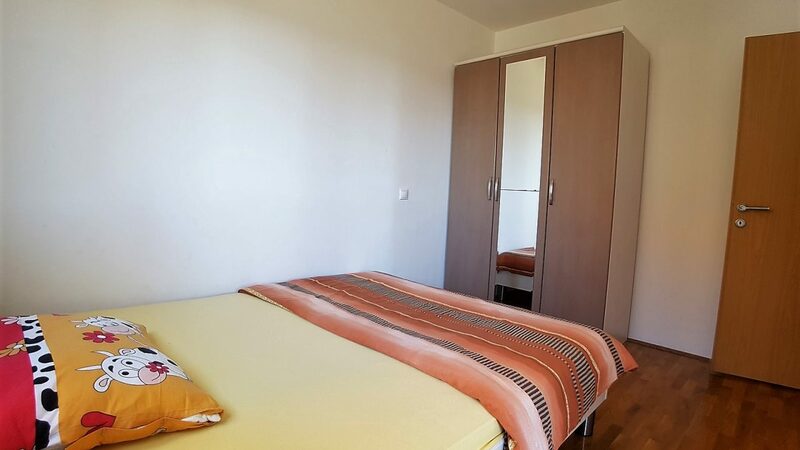 There is also a storage space within the apartment and one more under the stairs of the communal corridor. The living area opens to a deep west facing loggia that has enough room for a large dining table. 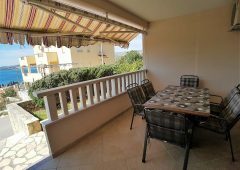 In front of the loggia there is a lush garden (44m2) that spreads the whole length of the apartment. 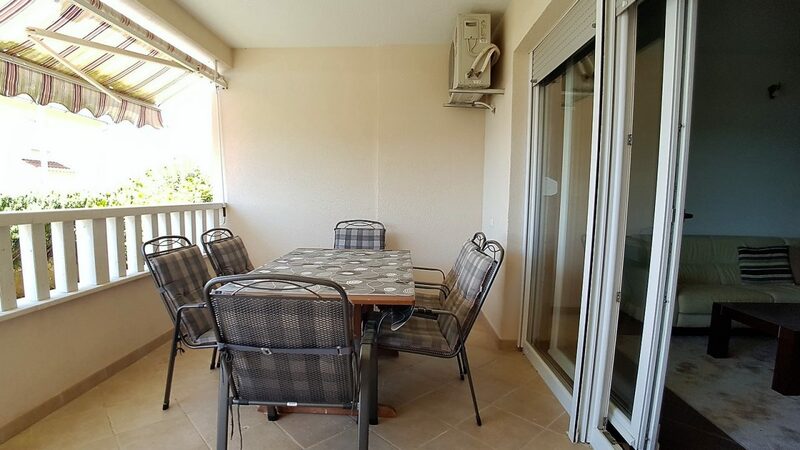 Opposite from that loggia, the kitchen opens up to an outside area with a grill and very spacious patio of 58m2 that can be a safe place for a toddler to play or for a family gathering area, or a sun lounge area, etc. The apartment has a total 3 loggias. 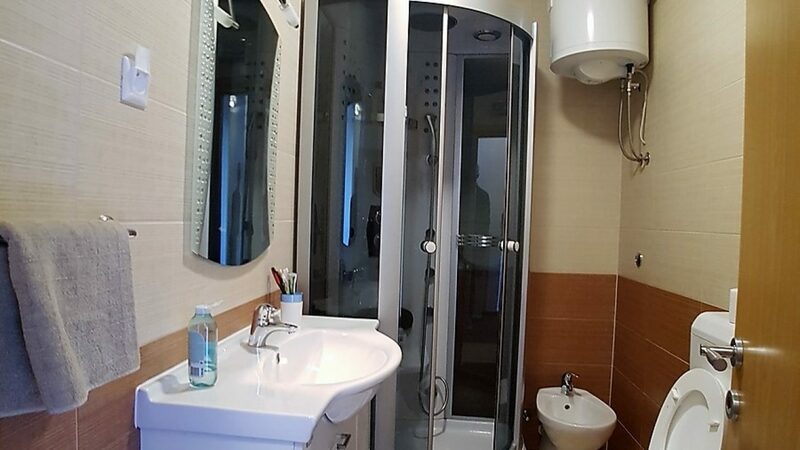 There is an outside parking space that goes with this unit. 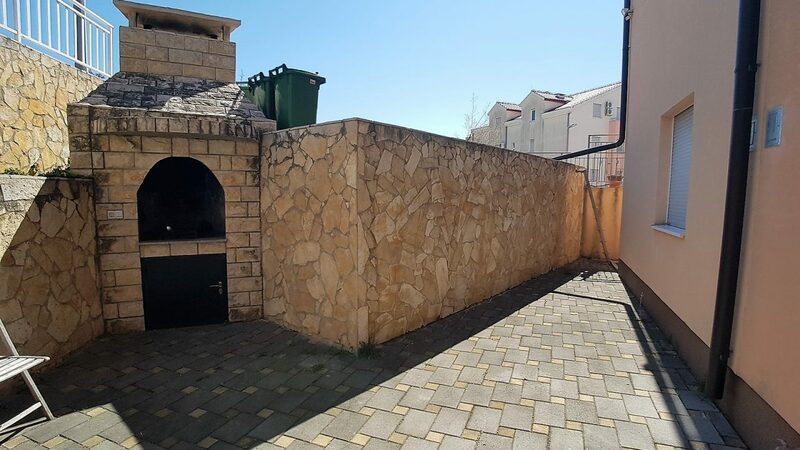 Also, this property comes with a spacious garage. The apartment enjoys the usage of the communal pool. 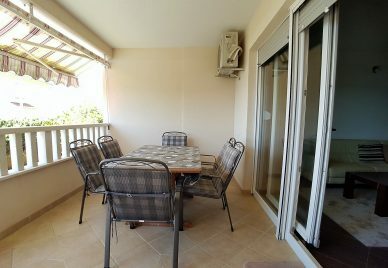 There is a lovely sea view from the pool area too. 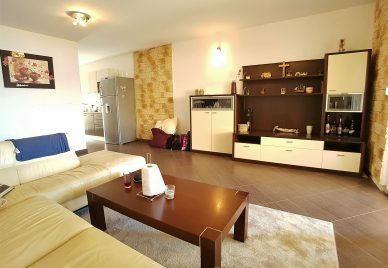 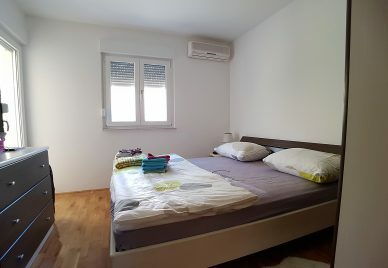 This attractive apartment is about 450m crow’s flight from the long Okrug pebbles beach, which offers many facilities – cafes, restaurants, lounge bars, shops and many other amenities you might need to enjoy your summer activities. An easy walk away from there you can find a taxi boat mooring from where you can go to Trogir and back in a small boat for a very reasonable fare. 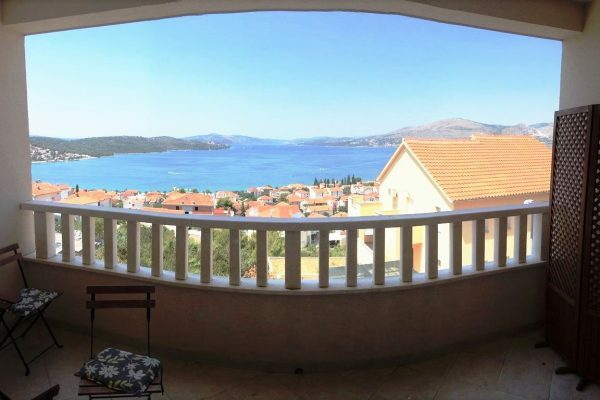 Trogir town offers many cultural and historical sites and museums, excellent restaurants, stunningly beautiful vistas, narrow stone paved streets typical of Mediterranean architecture.